The English brand Umbro are back with a bang and have today unveiled a new colourway for their new, innovative speed boot, the Umbro Velocita Pro. 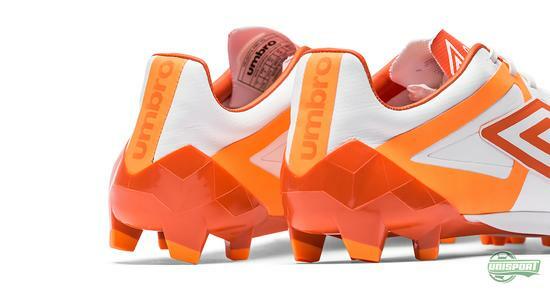 After a couple of years of laying low, after the sale from Nike, Umbro are finally back in the boot-game and with the launch of the Velocita Pro, they smash their way all the way to the forefront of the speed boot-race. 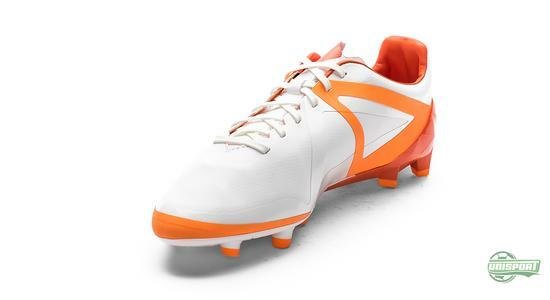 The newest colourway hits the pitches today and you can check it out right here. 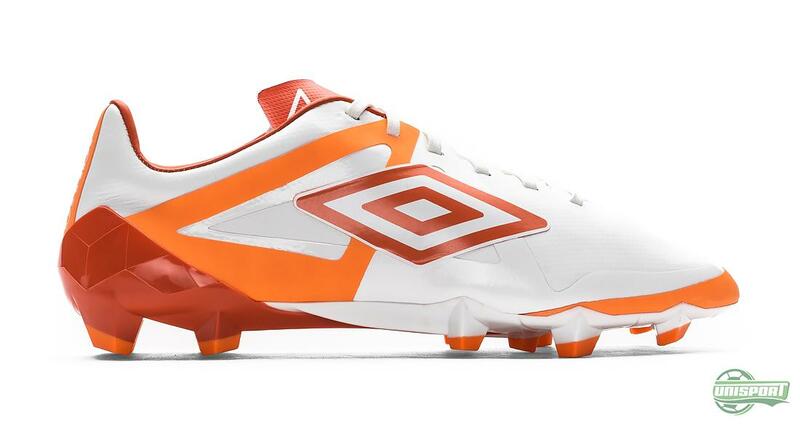 Umbro Velocita Pro charges forward at full throttle – buy it here – just 165 euro. Umbro Velocita Pro is made for pure speed, and while the big brands are moving away from the ultra-light speed boots, Umbro are going the other way. 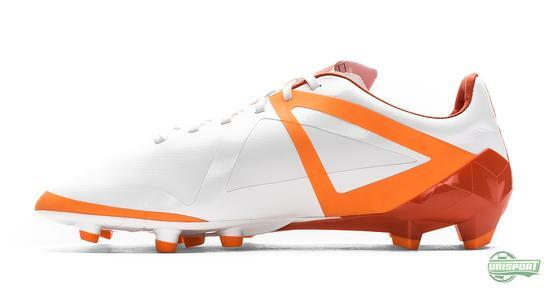 Velocita weighs just 165 grams and is in many ways a lot like the older lightweight boots we know. 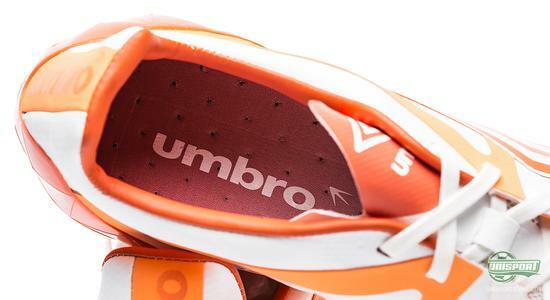 The upper is made from a single piece of ultra-thin, stretchable synthetic, so you get an extra sharp feel for the ball – and the classic A-Frame Cradle on the side makes sure the stability is tip top, despite the super thin upper. 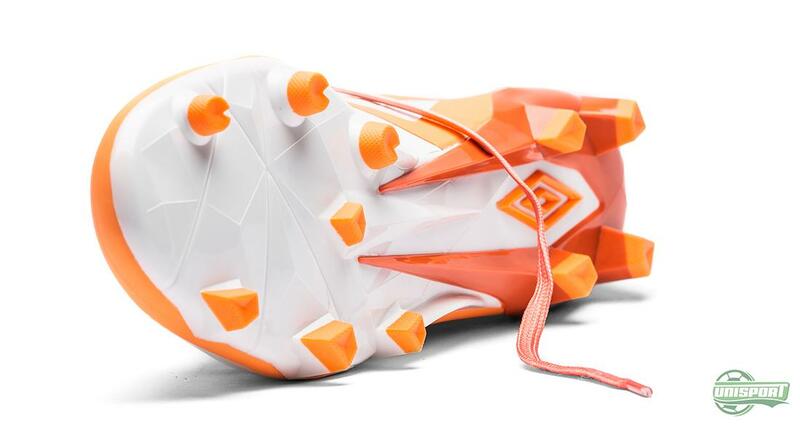 The sole is, as it should be on any speed boot, ultra-thin and made with both conical and diamond shaped studs, both to give manoeuvrability and plenty of grip, when you accelerate. 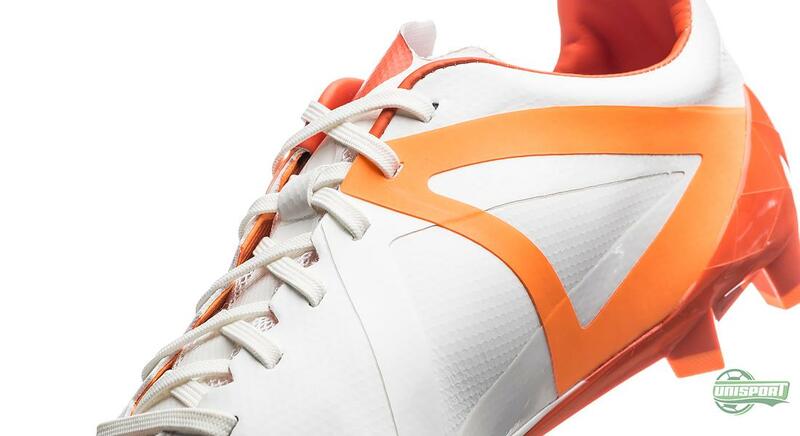 In other words; tailored for people who love speed and nifty dribbling. 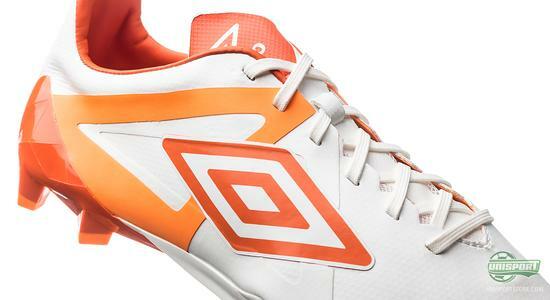 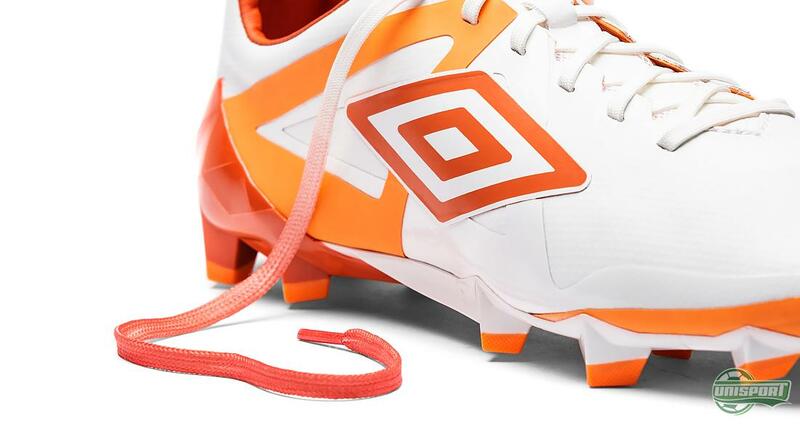 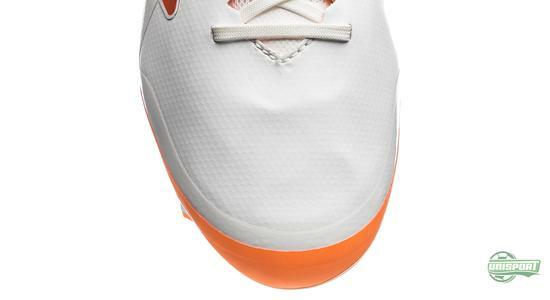 Get the Umbro Velocita Pro White/Nasurtium/Orange Pop – just €165. Any comparison to previous adizero-models are perfectly justified and if you loved them, the Velocita Pro will be a great choice, with its thin upper and fast sole. Are you feeling them? Share your thoughts with us in the box down below, or on Facebook, Twitter and Instagram.